Abad was one of the top advisers in the country in HSBC bank, having achieved consistent success over 14 years. He provided financial advice to commercial customers on both a business and personal level as well as having a personal client base. Abad decided that he could better meet his clients’ needs by providing truly independent financial advice with access to whole of market solutions. Abad is Diploma qualified and a very experienced Financial Planner. He has an accountancy background and a degree in BCom Honours Accounting from Birmingham University. This helps him to further understand business and personal needs. He is committed to obtaining and maintaining the depth of knowledge required to provide quality financial solutions in all aspects of his clients’ financial planning needs. Abad believes that providing a first class service to his clients through his knowledge, experience and commitment, is central to developing and maintaining client relationships that are built on trust and loyalty. 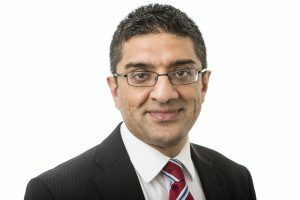 The partnership with Vision and Right Financial Planning Limited offers Abad the opportunity to put his clients at the centre of everything that he does and deliver an individually focussed Independent solution. Abad would welcome the opportunity of discussing your current situation, agreeing your objectives and goals. He can then work out the right solutions and tailor the best product to meet your needs as a valued client.